It’s a new month and we want to reward our customers. This is the longest promo we’re rolling out. This is the best offer you can get right now. And you have the confidence of being paid fast… (Instant Transfers). Sell a minimum of 1000 USD worth of Neteller @ N340/$ (N345/$ for customers who use Access Bank). Sell a minimum of 500 USD worth of Neteller @ N335/$. Sell a minimum of 100 USD worth of Neteller @ N330/$. Unfortunately, this promo is not valid for those who sell below 100 USD. If you sell below 100 USD worth of Neteller, you only get N322/$ (N325/$ for customers who use Access Bank). The minimum you can sell is 20 USD worth of Neteller. THIS PROMO ENDS ON APRIL 15, 2018. Meanwhile, you can get Neteller from others and sell it to us at a higher rate and then pocket the difference as your profits. I came across this excellent chart the other day. It shows those times in history when the S&P 500 doubled over a ten year period and the trajectory that this doubling took. Much commentary that followed on twitter related to the steady low volatility climb that characterised the latest run and how boring this was. One of the interesting thing about markets and money in general is that people betray their true desires and personality. Markets are the true window into the soul and in this instance what traders were actually saying is that they wanted to be entertained and not rich. The constant current moaning about the lack of volatility is little more than the plaintiff cries of children who bedevil their parents every school holidays with cries of …I’m bored. This lay observation tallies with what others have found. The seminal work in this field of trader immaturity is An Analysis of the Profiles and Motivations of Habitual Commodity Speculators by W.B. Canoles, S.R. Thompson, S.H. Irwin, and V.G. France. I have summarised their findings below and have added my own emphasis. “The typical trader assumes a good deal of risk in most phases of his life. He is both an aggressive investor and an active gambler. [He] does not consider preservation of capital to be a very high trading priority. As a result, he rarely uses stop loss orders. He wins more frequently than he loses (over 51% of the time) but is an overall net loser in dollar terms. In spite of recurring trading losses, he has never made any substantial change in his basic trading style. To this trader, whether he won or lost on a particular trade is more important than the size of the win or loss. Thus he consistently cuts his profits short while letting his losses run. He also worries more about missing a move in the market by being on the sidelines than about losing by being on the wrong side of a market move; i.e., being in the action is more important than the financial consequences. Participating brokers confirmed that for the majority of the speculators studied, the primary motivation for continuous trading is the recreational utility derived largely from having a market position. So we come back to the original question. Do you want to rich or be entertained as the choice is entirely yours. Article reproduced with kind permission of Tradinggame.com.au. Jubilee Metals shares (LSE:JLP) are a weak market. Price has been in a downtrend for the past several months and that just seems to be the beginning. 4 EMAs are used for this strategy and they are EMAs 10, 20, 50 and 200. The color that stands for each EMA is shown at the top left part of the chart. All the EMAs are sloping downwards – signifying a strong bearish movement. JLP is supposed to continue going further and further southwards, reaching the accumulation territories at 2.50, 2.00 and 1.50 along the way. Any rallied into the EMA 10 and 20 will be interpreted as sell signals. Optibiotix H. stock (LSE:OPTI) is also a weak market, though the weakness is not very much pronounced when compared to others. Price consolidated in October 2017, and started coming downwards from November 2017. Up till now, price has been coming down, leading to a strong bearish outlook on the market. Rallies have been invariably followed by further dips. 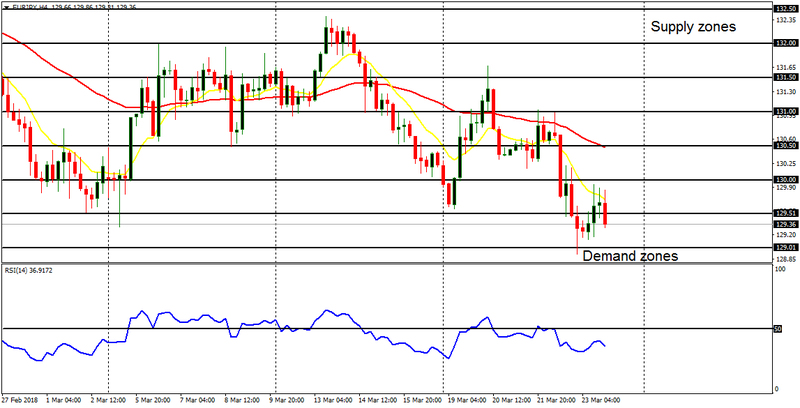 Price is currently below the lower Trendline, as the RSI period 14 is below the level 50. As long as price stays below the lower Trendline, the bias would be bearish. OPTI is expected to continue going further and further downwards for most part of 2018. Apart from unserious callers who ask for sustenance or pecuniary succor, there is no need to not pick calls from customers. Apart from online chats, and email, telephone conversation is one of the most effective ways to communicate with an exchanger. 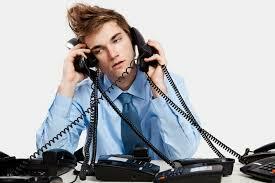 However, certain exchangers who have several phone numbers, won’t pick your calls. You can call 100 times if you want, but no-one will pick it. The fact that an exchanger’s office is busy is no excuse. That’s why you need staff to keep tabs on phone calls. There are scam exchangers online – and some of them are very popular indeed. They scam people who lick their wounds, but they usually get new victims by advert campaigns and by using unreasonable prices, like buying at very high rates and selling at very low rates. That’s what customers want – low rates for buying and high rates for selling. It’s when they send funds to the exchangers, that they realize they’re already in trouble. They may even face some hidden charges. When customers have been duped… or treated unfairly, then exchangers will not pick their calls again. Their number may even stop going eventually. Some exchangers promise fast processing, which is often a lie. It’s bad to over-promise and under-deliver. Try to under-promise and over-deliver. When you promise instant processing, like within 5 minutes, and you delay your customers for 24 hours or several days or one month, then you’ve over-promised and under-delivered. I can promise to pay a customer within 20 minutes and do so within 5 minutes. That’s under-promising and over-delivering. Promising 5 minutes payment is not realistic. Run away from any exchangers who promise that; for many factors may make that impossible. There may be network problems. The exchangers may not be on seat. It may take longer to confirm your orders. Some protocols may need to be followed before processing is done. In reality 5 minutes payment is a fallacy, unless sometimes, when it’s fully automated (which is illogical). It’s more realistic to ask a customer to wait for a certain amount of time of period, and if they cannot wait, they can go to where they would learn bitter lessons. When you promise instant processing and you delay the customers, they will start calling you, and that’s why exchangers don’t pick their calls again. When customers are betrayed, cheated, swindled and treated like dogs, they keep on calling and calling and calling; and the exchanger will keep on ignoring the calls. 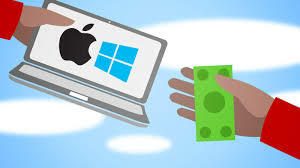 Even when a neutral customer calls, who want to do a sizable amount of transaction, the exchanger will think it’s the same disgruntled customer and avoid the calls altogether. Beware of exchangers who don’t pick your calls. Beware of exchangers who use fake addresses (like using a foreign address, when they’re in fact located in Nigeria) or no addresses. As for us, we answer all calls. We even call back when we see missed calls… Unless it’s obvious flashes. When we have issues with a customer, like a payment that hangs due to a network error, we keep the customer in the loop until the issue is resolved. This pair has consolidated so far this month. 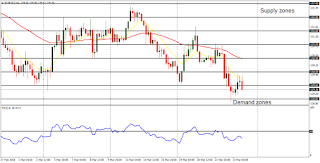 Price has been ranging between the support line at 1.2250 and the resistance line at 1.2450. This week may see an end to the neutrality of the market, as price would either move above the resistance line at 1.2450 (staying above it); or it would move below the support line at 0.2250 (staying below it). However, a strong movement to the south is much more likely this week, owing to a bearish outlook on EUR pairs. The bias on GBPUSD has become bullish again, for price went upwards by 250 pups last week. Even the movement this month has been largely bullish (price has gained a minimum of 400 pips). 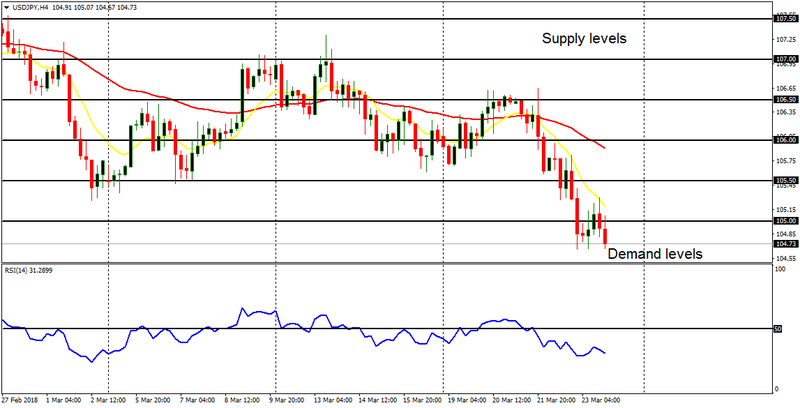 The distribution territory at 1.4200 was tested, but price closed below the distribution territory at 1.4100 on Friday. 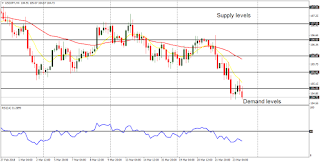 There is a Bullish Confirmation Pattern the market, which points to a possibility of further bullish journey, as price targets the distribution territories of 1.4150, 1.4200 and 1.4250. This, nevertheless, cannot rule out a possibility of a strong pullback in the market. GBP pairs will experience high volatility this week. The pair traded southwards last week, to corroborate the presence of bears. Since January 8, 2018, price has lost 830 pips. It lost 170 pips last week, after testing the supply level at 106.50. Since there is a huge Bearish Confirmation Pattern in the market, price can still reach the demand levels at 104.50, 104.00 and 103.50 before the end of this week. A rally may occur along the way, but it should not be something that would override the extant bearish outlook on the market. Although the market is choppy, the bearish trend has been maintained. Price has been going southward since February 5, having lost almost 800 pips since then. Last week, there was a rally attempt in the context of an uptrend, which was halted once the supply zone at 131.50 was tested. The market shed 250 pips following that, to test the demand zone at 129.00, and closed below the supply zone at 129.50. The expected weakness in EUR, as well as the bearish outlook on the market, may enable the demand zones at 129.00, 128.50 and 128.00 to be tested this week. The cross is bearish in the long-term, but neutral in the short-term. This is a choppy market: An abortive bullish attempt was made last week, but that was rejected as the supply zone at 150.00 was tested. Price came down after that, thus cancelling the short-term effect of the bullish attempt. This week, there may not be any rallies that will cancel the existing bearishness in the market. Price could go further southwards, but it is not expected to go below the demand zone at 145.00, which is the ultimate target for the week. Premier African stock (LSE:PREM) consolidated from October to December 2017, and then dropped sharply in early this year. Price has also been consolidating since then in a tight range. What is now present in the chart is a base, from which price would rise or fall. Now looking at the chart, the market has gone below the EMA 21, and the William’s % Range period 20 is in the oversold region. This shows a bearish propensity. When a breakout eventually happens, it would most likely be in favor of bears – given the current price action. The outlook on Premier African is bearish for 2018. Until recently, Oxford Biomedica shares (LSE:OXB) were going upwards, from the beginning of January to March, 2018. Before then, the market was ranging. In the short-term, things are bearish. The ADX period 14 is at the level 30, suggesting a considerable amount of momentum in the market. The DM- is above the DM+ (bulls’ hegemony). The MACD default parameters, has its histogram below the zero line, while it signal lines are still above the zero line, but heading downwards. The short-term bearish correction in the market will eventually enable the MACD signal lines to go below the zero line, thus leading to a Bearish Confirmation Pattern in the market. Then what starts like a bearish correction will translate into a strong bearish bias. The outlook on Oxford Biomedica is bearish for the year 2018.